View More In DVD Recorders & Duplicators. 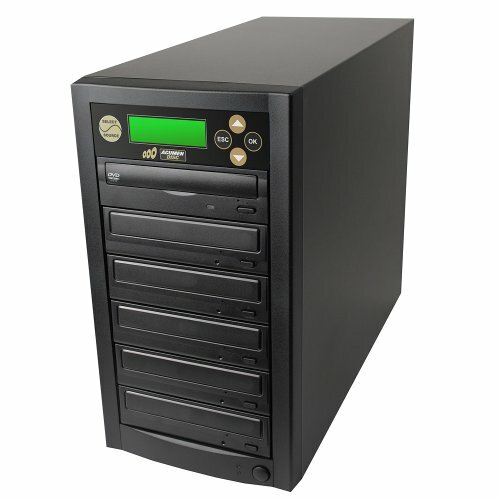 Introducing our new Value Line series of standalone DVD/CD duplicators. The Value Line series is not only economical but also offers truly reliable duplication with an easy to use interface. The easy to operate control panel offers many advanced features such as; AutoCopy, Account Management, Auto Counter and much much more. These units are truly strong performing systems at a more affordable price point to meet the users growing demands without exceeding their budget. FREE Copy Protection: Able to add copy protection to your video DVD. Account management (password protection) function will authorize only specific user(s) to operate the duplicator with their preferred settings. Able to assign numerous passwords for multiple users.